Create a little Christmas magic for your child with these sites, apps and services that provide a direct connection to Santa. On December 24 at 2 AM ET, the NORAD Santa Tracker site will show Santa as he checks his list and prepares for his global chimney tour. Then, NORAD will track his every move throughout the night, with real-time Google Earth and Google Maps reports. “Are We There Yet?” Santa’s voice can guide you on your journey to wherever you’re celebrating this year with Waze, a turn-by-turn navigation app for iPhone and Android phones. Create a personalized video message for your child from Santa at magicsanta.ca or using the free Magic Santa iPhone app. The video includes your child’s picture, name, age, special accomplishment and a toy Santa might bring. 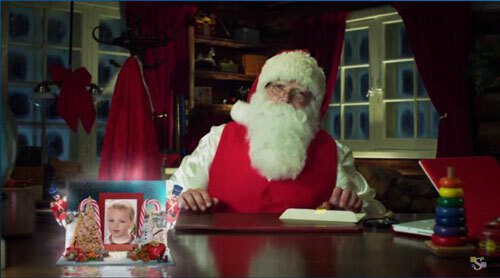 AT&T Wireless customers can text “SANTA” to 1224 and receive a note from Santa himself. Kids can reply with their wish list. The entire text conversation is free. Has your child been naughty or nice? Have your child take Santa’s Good List Quiz online quiz to find out.